Darryl Williams ​is a American music executive who served as senior vice president of A&R for Atlantic Records and Elektra Records. Darryl Williams has discovered and was the executive producer of​ Brandy​, ​Ray J​ and ​Amerie​. He also oversaw and executive produced gold and platinum albums for ​Silk​, ​MC Lyte​, ​Kut Klose​ and ​Busta Rhymes. Darryl worked with producer ​Rich Harrison, ​who wrote and produced all of the music for​ Amerie​, as well as writing and producing ​“Crazy In Love”​ for​ Beyonce​, ​“Soldier” ​for​ Destiny's Child​, and​ “Get Right” ​for ​Jennifer Lopez. Darryl began his career as an assistant for Gemma Corfield, then vice president A&R Virgin Records. There, he assisted her with her groundbreaking signings ​Soul II Soul​, and ​Paula Abdul​. Mrs. Corfield quickly promoted Darryl Williams to creative director at Virgin Music Publishing. 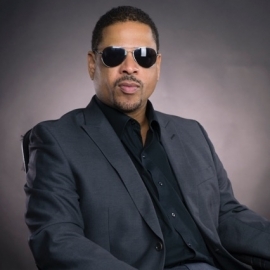 after a year at Virgin Music, Darryl landed his first A&R job as A&R director at Capitol Records, where he was the the executive producer of ​Mellow Man Ace​, the first latino rapper to have a gold single with his song​ “Menterosa”​. Darryl quickly got the attention of Sylvia Rhone, who was then the head of Atlantic Records urban division. Ms. Rhone offer Darryl the position of A&R director. There he signed 14 year old singing sensation Brandy and her young brother Ray J. After rising to senior vice president of both Atlantic and Elektra simultaneously, Darryl left to start Rise Records, a label deal with Columbia Records. There he had two gold album with Amerie, as well as working on the Beyonce, Destiny's Child and Jennifer Lopez records with producer Rich Harrison. Currently, Darryl Williams Is the Owner ​St. Marx Entertainment​, a new production and management company that is developing several artists, songwriters and producers. He continues to be an A&R consultant to major and independent record labels.